Are you tired of losing power every time a thunderstorm runs through the Atlanta area? 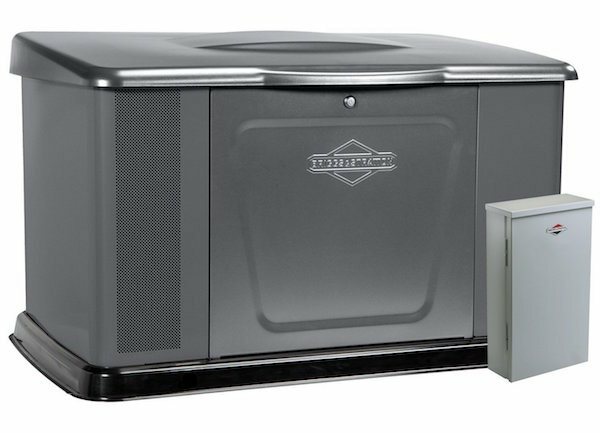 We can help by installing an intelligent whole house standby backup generator. No more walking around the house with flashlights. Within seconds of the power going out, you’re power will be restored. And once Georgia Power is back up and running, your generator system will automatically shut off. Our systems can run on natural gas, diesel, or liquid propane. Generally we like to install our generators as close as possible to your home’s service panels. This provides the easiest service and the lowest cost. As part of our service we provide a level platform for the installation of your generator. Once it’s installed you can plant bushes or trees around the unit to hide it from view. Some installations can take as little as 2-3 days, depending on the amount of work involved. Once the generator has been installed our technicians will lead you through how to operate and maintain your backup generator. Of course we offer regular maintenance visits to ensure your system works EVERY time it’s needed. Noise is one consideration to keep in mind when purchasing and placing a generator. As much as possible we try to shield your home and those of your neighbors from any potential noise. Most of the generators we offer have noise levels equivalent to that of an idling car. If it’s close to a window it can be problematic. But otherwise they are generally too quiet to hear from indoors. We proudly use Honeywell Products. Whether you live inside the perimeter or outside we’re happy to serve you. Our teams serve Decatur, Dunwoody, Stone Mountain, Smyrna, Marietta, Alpharetta, Brookhaven and more. Our city is prone to serious thunderstorms and weather that can leave your home without power during the hottest months of the year. We can install a system that will power your home through the worst mother nature can bring. Contact us today to find out how we can keep the lights (and air conditioning) on in your home all summer long. TheToolReport.com is a participant in the Amazon Services LLC Associates Program, an affiliate advertising program designed to provide a means for sites to earn advertising fees by advertising and linking to Amazon.com and affiliated sites. Copyright 2019 by The Tool Report.